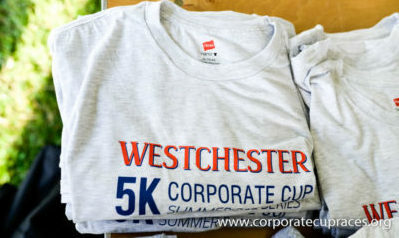 White Plains, New York (June 12, 2018) – The Corporate Cup Race Series returns to Westchester County this year with two 5K evening races at Purchase College, State University of New York campus. The races will be held on two weeknights—June 27 and August 2—and will feature men’s, women’s and co-ed corporate team competitions on the scenic perimeter road of the Purchase College campus. Teams will be comprised of either three men, three women or a combination of two men and two women. Individual runners and walkers are invited to compete, as well. For each race, awards will be given to the top three men and women individual runners under 40; the top three men and women individual runners over 40; and the first place men’s, women’s and co-ed teams. The races will begin at 6:30 p.m. at the starting line located near the university’s physical education building. There will be three water stations along the race route and music, food and beverages at the finish line. Free parking is available on-site. All net proceeds will go to New Rochelle’s Hope Community Services, one of Westchester’s leading community services organizations. The series, which is a nonprofit event, is being underwritten by entry fees and contributions from eight sponsoring companies: Heritage Realty Services, LLC; Dorian Drake International, Inc.; O’Connor Davies, LLP; Pearlgreen Corporation; RPW Group, Tortoise Investments and Eifert, French & Ketchum. Click here for registration form. For more information, go to www.corporatecupraces.org.